Last week we posted about availability of Autodesk® AutoCAD® Civil 3D® 2015 Service Pack 2 through Autodesk Application Manager. Now the same SP is available publically on Autodesk Knowledge Network site. You can download it from here. In a continuing effort to provide high quality products, Autodesk has released Autodesk® AutoCAD® Civil 3D® 2015 Service Pack 2, which fixes or addresses a variety of issues discovered by Autodesk's internal testing team and by customers using the Customer Error Reporting Utility. This Service Pack applies to all language versions of Autodesk AutoCAD Civil 3D 2015. 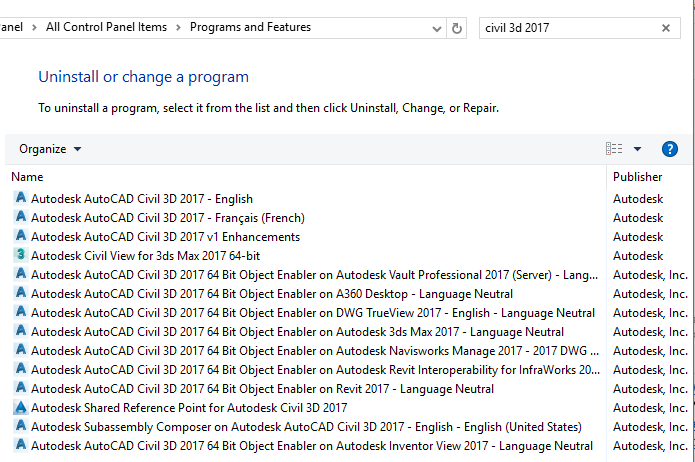 Be sure to close Civil 3D and any other AutoCAD based application before installing this Service Pack. If, during installation, the prompt "Automatically close applications and attempt to restart them after setup is complete" is displayed, choose this option and continue the installation. If your system is not automatically rebooted as part of the Service Pack installation, reboot your system after the installation is complete. Please view the readme file for instructions on how to uninstall this Service Pack. As always please check readme to get more information about all the issues addressed here and to get instructions for install. The Readme contains the latest information regarding the installation and the use of this service pack. It is strongly recommended that you read the entire document before you apply this service pack to your product. It is required to have the original installation source files for the uninstall to be successful.